Carole Walter’s fans know her as an award-winning author, teacher, and mentor, and her new book will keep them cheering, as she turns her attention to the most popular theme in home baking: cookies. Drop cookies. Bar cookies. Piped, pressed, and rolled. Great Cookies covers every conceivable method for baking these tasty confections. In the more than thirty years that she has studied and taught baking, Carole has cataloged a wealth of helpful tips and troubleshooting hints that for the first time are gathered in one collection. Carole Walter belongs to a select group of women writing on baking in the home. Leading this group with Walter is Maida Heatter, the queen of cakes, Rose Levy Beranbaum of the baking 'Bible' series and Susan Purdy, also a writer on both pies and cakes. 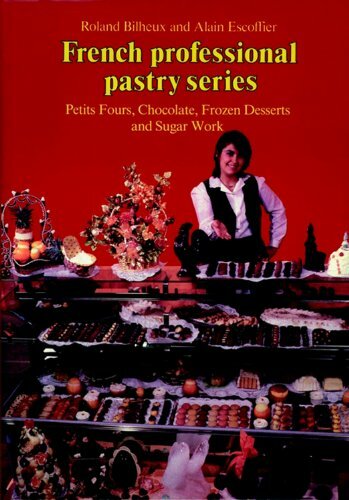 I suppose we should give an honorable mention to Nick Malgieri, who has written on pastry, cakes, cookies, and breads. The book in my library which most closely compares to Walter's cookie book is Nancy Baggett's 'The All-American Cookie Book'. These two books are of similar length, these two authors have both won awards for their books on baking, and, of course, both are devoted entirely to cookies. Both books have sizable bibliographies. Both books have general chapters on technique. The scope of Baggett's book is somewhat limited in that it is focusing on cookie recipes born or nurtured in America. For that reason and for her larger bibliography, I give a few points to Baggett at the outset. Baggett's introductory chapter on technique is, I believe, a little gem. Walter gives a much larger chapter at the end of her book on ingredients, tools, and techniques, which has a much more academic air about it. To even things up and actually come off ahead of Baggett in the pedagogical arena, Walter has page long sidebars with pointers on making each different type of cookie. The chapter headings are quite different in the two books. Both divide cookies by type. Baggett's classification is largely based on ingredients. Walter's classification is largely based on technique. If I owned neither, I would pick Walter's book for this reason alone. Both authors give entertaining headnotes to each of their recipes. This feature is a wash. Baggett provides photographs for a small minority of her recipes. Walter provides a very effective, arty but informative picture for each and every cookie. A big plus here. Photographs in cookbooks do generally not sway me and many great ones have been with us for decades with no rotogravure at all. But, I think good pictures are a definite plus to cookie books. Score a big plus to Walter. Walter gives an excellent thumbnail guide to each recipe by giving an 'at a glance' table of 'Pan', 'Pan Prep', 'Oven Temperature', 'Baking Time', and 'Difficulty' ranking of 1, 2, or 3. Another big score for Walter. I compared the recipes for two cookies I know well, Snickerdoodles and Chocolate Chip cookies, in the two books and I found some interesting differences, especially in the Snickerdoodles recipes. Walter uses half butter and half vegetable shortening while Baggett uses all butter. Baggett includes corn syrup and Walter does not. Baggett includes nutmeg and Walter does not. Walter evens things up by providing a delightfully simple way to achieve uniform spheres of cookie dough to roll in the cinnamon and sugar. Aside from this rolling technique, I would tend to prefer Baggett's recipe to avoid the vegetable shortening and get the nutmeg. The chocolate chip recipes were less different. I am sure all four recipes give good results. The prices are identical for roughly the same number of recipes. I would not feel overly redundant if I owned both, as both are excellent books. 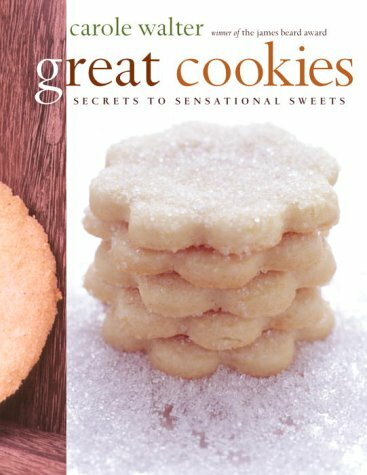 But, if you are looking for a single good cookie book, get 'Great Cookies' by Carole Walter. Very Highly Recommended. this is my favorit cookies cookbook, I did some research before I purchased this book. I like it because it has a lot beautiful photos of cookies and all the recipes I have tried came out very good. I am delighted to have received this book as a gift. The book itself it just gorgeous and the variety of recipes makes the shortcomings worth putting up with. The quality recipes for icebox and cookie press types are rarely seen elsewhere. I have made four of the recipes: the molasses spice cookies and some biscotti. My criticism is that the instructions simply aren't well thought through and the author seems stuck in a different time, say Before-Food Processors. I feel each recipe could have been streamlined so that making them didn't take so many bowls or required a standup mixer. Key instructions used ambiguous language, such as "the log should be 1" wide" which wasn't correct based on the lovely picture and probably was meant to be 1" high. She keeps referring to "straining" the flour and I made a correct guess about what was intended until I discovered the pages of descriptions in the back. Also, gushy testimonials about a cookie e.g. "My husband's favorite," or gushy mentions of friends, assistants and the like, really aren't helpful. Finally, I feel the author needs a surer hand with spices. The molasses cookies seemed flat, the cardomom biscotti, a lovely idea, were cloying. Healthy alternatives in the fat department were not forthcoming. While not as expert as the previous reviewer, I like to make interesting cookies, especially biscotti. Recipes by Maida Heattie and Peg Cullen work beautifully for me. I would recommend those books (Got milk? / Great New Book of Cookies) for beginner or family use over this one. This cookbook is absoloutly fabulous. I love how she simply explains the techniques and details that make the difference between amataur and professional cookies. It's like she let me in on the secrets, and they're not that hard! The recipes are *great*. Tasty, beautiful, pure baking bliss. It is much easier to identify very good and very bad cookbooks than it is to identify the merely good or average cookbooks. I saw the beauty of this book with the first recipe I prepared from it. 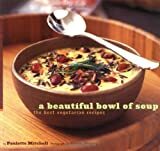 I have read two other books on soup by very famous cookbook authors Barbara Kafka and James Peterson and I would recommend this little book over both of their works. Both of these other works are good, worthy of five stars, but this volume by Paulette Mitchell is better for the price. The fact that it is limited to only vegetarian and vegan recipes detracts not one wit from its value to the general cook. If this means anything at all, it means that the recipes will be less expensive and faster to prepare than recipes including meat. It especially means that you can make an appropriate homemade vegetable stock for these recipes very cheaply and easily, with no chicken sanitary problems to deal with. Chunky Soups featuring black beans, red lentils, chickpeas, asparagus, miso, minestrones and ribollita. Dessert Soups featuring berry-wine, strawberry-rhubarb, gingered pear, and brandied pumpkin. 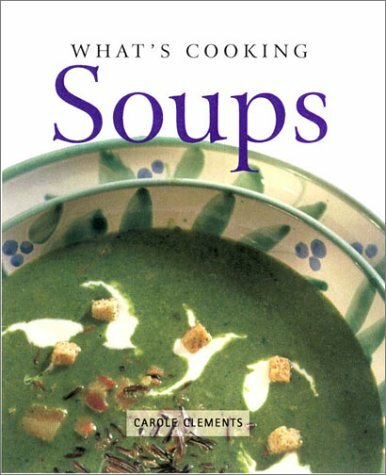 The chapter on chunky soups comprises about half the recipes. It should be clear from this list that most of the major soupy players are present. The only major type of soup one may miss is seafood chowders. For that, you can go to Jasper White's excellent book, '50 Chowders'. Many recipes are vegetarian in that they include some dairy product; however, the author gives many tips on making the daried soups suitable to a vegan sensibility. The primary technique is to substitute soymilk for cow's milk and toasted breadcrumbs for grated cheese. Before the main chapters of recipes, there is a short chapter on preparing vegetable stock. The book ends with an excellent chapter of recipes for 'garnishes and accompaniments' which gives recipes for pestos, croutons, and various toasted nibbles. Many recipes also include a garnish which may easily be treated as a recipe in itself and a garnish from one soup can be grafted onto the serving of some other soup. Aside from the excellent selection of recipes for soups and supporting cast, the recipes are written in a very appealing format. Rather than undistinguished text or simple numbered steps, the steps are broken down into major activities, with numerous checkpoints to indicate where in the preparation it would be best to freeze or how to do parts of the preparation in advance. Soup and garnish steps and ingredient lists are always separate to easily mix and match soup with garnish. The book is loaded with tips relevant to the particular recipe, but which are also relevant to general cooking techniques. To this end, the author has provided a separate list of alphabetized names of tips, so that if you wish to use crème fraiche in a recipe but you have forgotten the recipe, simply look it up in the tips list. Surely, the index would do as well, except that it would not be as easy to browse the tip titles and let serendipity take its course. To top it all off, this is a very attractively composed book. The pictures are not abundant. Only about one in ten recipes has an accompanying photograph, but all pics are done in a way which compliments the overall design of the book. The plain black typesetting is possibly not as elegant as the kind of treatment it may have gotten from Knopf, but it is a very nicely designed book. The literary quotes headlined by a famous quote on soup by Lewis Carroll sprinkled here and there simply add to the pleasant experience. One advantage to meatless recipes is that they will take less time to prepare; however, I do wish to soft pedal the author's suggestion that the recipes are fast and easy. If you make both soup and garnish, you may be dealing with more than one separate steam, saute, or blanche step. Cream soups will require breaking out the food processor, blender, or stick blender. Chunky soups will require a fair amount of knife work. But, don't hold this against this or any other book. Just don't buy it with the notion that you are buying a fast recipe book. I have made many of the chilis in the book, going so far as to buy the required chili pequenos, chili colorado and other special chilis in the recipes. Yes, they make a difference. 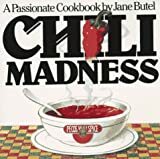 And the book even has Cincinnati 5-Way Chili, which purists will scorn as "not REALLY chili" but which is addictive and great for guests who hate hot spices. (5-way chili is a slighty sweet, cinnamon spiced chili probably influenced by Middle-East immigrants in Cincinnati. It is served 2-way, 3-way or 5-way with onions, beans, cheese, and spaghetti. It's fun for kids, who can make up their own garnished dish.) The Texas Style hot chilis are really gorgeous. 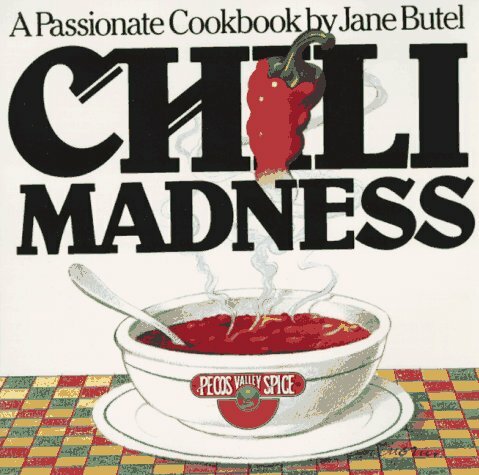 This is one of my all-time favorite books and I don't think in 20 years, anyone has really written a better book on chili than Jane Butel. In addition to the great recipes, this book gives you some history of chili along with some great black and white pictures. Carole Walter has had a love affair with baking since she was a child. That passion has flowered into a professional career that has taken Walter around the world to study baking and the culinary arts with renowned chefs in Austria, Denmark, France, and Italy, as well as in the United States.For twenty years she has been sharing this wealth of expertise with her own students, and now she shares it with you. With Carole Walter at your side, you will be able to achieve professional results every time.Her clear instructions and invaluable tips will help you avoid the common pitfalls that every baker, no matter how experienced, faces from time to time. 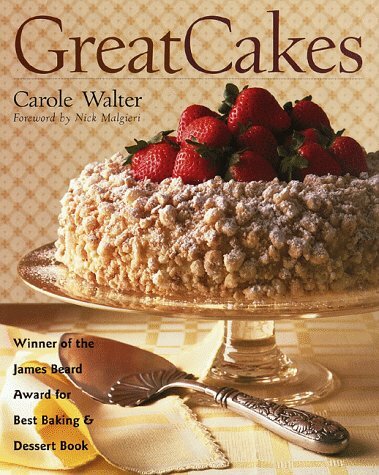 Many of the cake recipes in Great Cakes can be baked in under an hour and don't require frosting or filling, yet they are attractive enough to serve to company.Here are recipes for Old-Fashioned Pound Cake and Streusel Lemon Torte, Chocolate Marble Cheesecake and Italian Purple Plum Cake, and more -- over 250 recipes in all. A complete compendium of cake recipes, this is the only cake baking book you'll ever need, the one you'll use again and again to make simple yet utterly delicious cakes for your family and friends.Great Cakes is more than a "cookbook" -- it's a baking course between two covers. This book is so good, the cakes are beautiful-- the recipes are well written, obviously tested, and just superb. The problem is that because they are good and easy cakes to bake-- some of us who may be better served with less sugar may throw that advice out in favor of say, the Fresh Fruit Pound Cake? And as a plus, you can play with the recipes-- add your own personal touches or flavors and not ruin, but rather enhance these cakes. The publishers of this book must have used inferior materials to construct this book. The color photos eventually fall out. I wouldn't have said anything except that I experienced the same thing with Carole Walter's "Pies & Tarts" cookbook. I even bought a 2nd copy of Pies & Tarts because of this, and the color photos fell out of that one too. Just today I was researching cake recipes from Great Cakes, and the color photos fell out--I've had it! This is a great cookbook for anyone who likes to make cakes from scratch. The coconut cake recipe is absolutely delicious! This is the only cookbook I use when I want to make a cake. Her directions are easy to follow and even a novice like me gets great results! This is got to be your first step to cake education. Its more than a cook book, its a baking course between 2 covers. I recommond it in the shelf of every beginner baker. The Atkins Diet? Phooey! The South Beach Diet? Feh! What Americans really want to eat is something deep-fried and sugar-packed . . . hence our undying love affair with the beloved donut. And if anybody knows donuts, it's Sally Levitt Steinberg, America's Donut Princess. As a member of America's royal donut dynasty (her grandfather, Adolph Levitt, invented the donut-making machine), she knows more about this sweet indulgence than anyone else. 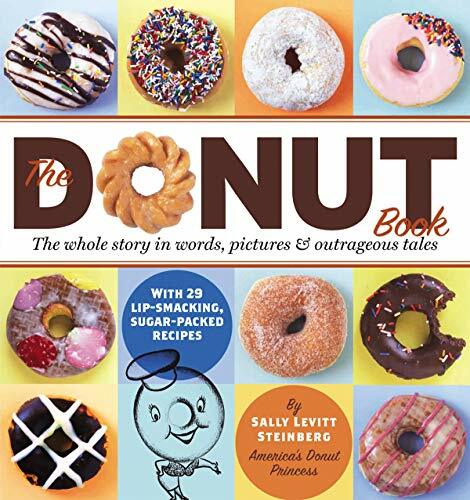 The Donut Book is the product of Sally's great personal charm and life-long, in-depth donut scholarship. She covers high points in donut history: the arrival of the first donuts in America with the Dutch settlers in the 17th century, and the donut in World War I, when it became the favorite nosh of the boys in the trenches. 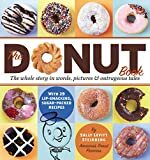 She celebrates donut-loving celebrities, from Admiral Byrd to Bill Clinton, as well as some of the most gifted donut bakers on the planet. She visits the campus of Dunkin' Donuts University and reveals the secret that makes Krispy Kreme donuts irresistible. And she identifies the most popular donut in America (glazed) and the runner-up (chocolate). It's much better than that! Perhaps I'm just too much of a donut fancier, but the book does not strike me as serious at all. Rather it is filled with the kind of anecdotal material only someone that close to the action could provide. Ms. Steinberg does not appear to be a professional writer, but she is the granddaughter of the inventor of the donut machine. How could her story not be interesting? I found the book fascinating and helpful, and the illustrations frequently hilarious. I think you will to. "America's foremost master cake decorator presents step-by-step instructions for making forty-five spectacular holiday desserts and decorations.Colette Peters's extraordinary Christmas confections have adorned the White House and the Fifth Avenue display windows of Tiffany & Company. With Colette's Christmas, bakers at all levels can create at home Colette's magnificent holiday desserts and edible decorations. The recipes include: Christmas cookies-from easy and irresistible drop cookies shaped by hand into Christmas trees or wreaths to marionette cookies (with arms and legs that move!) and life-size stocking cookies to hang from the mantel a Swiss chalet gingerbread house, a chocolate pumpkin pie wreath, and a raspberry-and-lime no-bake Christmas cheesecake pine cones of chocolate and almond, a greenhouse made of piped icing, a mosaic candy tree, chocolate ornaments in a chocolate bowl-any of which would make a dramatic centerpiece for the holiday table and, of course, the beautiful and delicious cakes for which Colette is best knownfrom a single-layer Stained-Glass Poinsettia Cake to a stunning multitier Victorian Holiday Cake. WOW!!! This is an AWESOME book to add to your collection!!! I'd definately give this book six stars if they had the option!!! The descriptions on each item are incredibly detailed making it so ANYONE can follow the directions and have it turn out as nice as the pictures. The book takes what looks INCREDIBLY complicated and makes it so even the novice could recreate it. Definately a must have in any Christmas or baker's collection!! If you're a Christmas junkie like me you'll *love* this book. 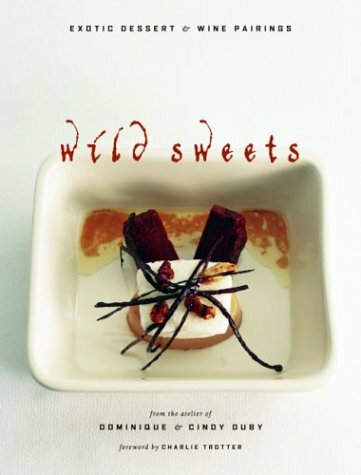 The author manages to make breathtaking edibles that capture the season and will have you trying them out regardless of the time of year. Truly inspirational!! 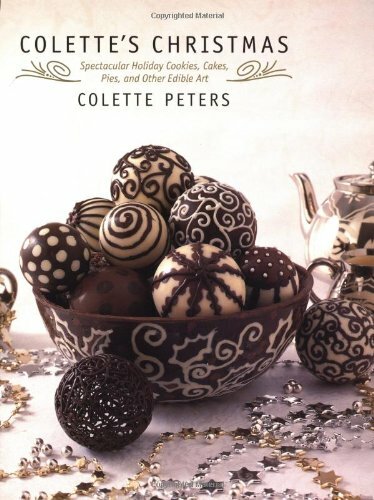 I treated myself to "Colette's Christmas" by baker extraordinaire Colette Peters while on vacation. It seemed a strange thing to read while at the beach, but I was absolutely captivated. What a fevered imagination Ms. Peters has! The showstoppingly gorgeous desserts and projects she shows within include a layer cake covered with fondant that has been pieced and quilted to resemble and antique quilt (and it surely does); a chocolate bowl filled to overflowing with spectacular chocolate spheres (the cover photograph); hinged, jointed cookies which really move and make splendid Christmas ornaments (all in human forms, like Santa, Raggedy Ann, and so on); gift boxes made entirely of decorated cookie dough; a shimmering "stained glass" cake; and a three-dimensional Christmas gazebo constructed around a towering decorated Christmas tree made of piped icing. Even if the projects herein appear way too complicated or time-consuming for most people--as they do for me, I'll admit--Ms. Peters gives splendidly clear, concise directions in a conversational tone that make starting your own gingerbread house seem, somehow, not as daunting as it really should be. Each year I prepare the desserts for my husband's office Christmas party (over 400 guests). I always try to come up with one special "show stopper" and Colette's chocolate bowl and ornaments was it for last year! I'm certainly a beginner but, with a little practice and Ms. Peter's clear instructions, I was able to create pieces that were the talk of the night. Several people even asked to take one home to show their family. I can't wait until next Christmas when I can try something even more amazing! If your party planning has you paralyzed by visions of serving pimiento loaf paired with the Pi&tilde;a Coladas, fear not. Sophisticated help is on the way with Cocktail Food, a collection of 50 intriguing, anything-but-ordinary hors d'oeuvres compiled and tested by sisters Mary Corpening Barber and Sara Corpening Whiteford, with collaborator Lori Lyn Narlock. In an easy-to-follow, uncluttered format perfect for the moderately accomplished kitchen hand, theauthors present globally influenced recipes to pair with a wide range of libations. Suggested snacks to serve with "travel agents"--those brolly-festooned tropical drinks that instantly transport you to de eye-lind, mahn--include Figs in a Blanket, a gorgeous canvas of fresh fig and Gorgonzola brushed with balsamic and walnut oil, then wrapped in prosciutto; and 'ZA!, mini-English-muffin pizzas with Cambozola and sun-dried tomatoes. Bought this book on a whim at the UCLA book fair. Have used recipes from it for two parties and received rave reviews! Love the mushroom in puff pastry, pepperoni pinwheels, and the shrimp with sesame seed recipes in particular. (Keep in mind that I also believe that puff pastry should be made a food group...so I may be biased.) I do agree that the recipe names are a little cutsie and annoying, but do NOT let that get in your way. It's chock full of great recipes that are easy to make and very good tasting. The fact that my very picky gourmet cook of an aunt liked what I made from here validated the purchase in a heartbeat. Recently bought this book to help in preparing a cocktail party. What a gem. It may be a little book, but it is gorgeous and so very hip. The food is kind of fusion cooking--elegantly combining east west north and south recipes--but oh so easy and time saving. The do ahead tips are worth its price alone. This is a definate must have for all party people. Thank you amazon for the reviewers who went before me, they largely influenced my purchase and this book does not disappoint. 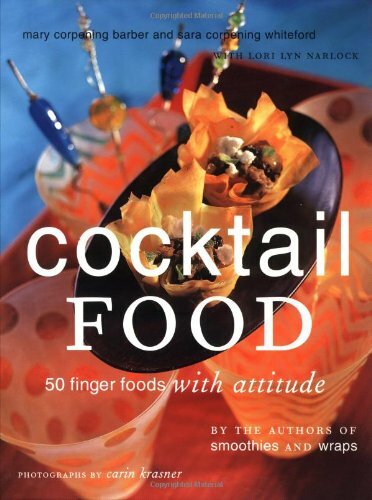 "Cocktail Food: 50 Finger Foods with Attitude" is my third cookbook by the Corpening sisters. The other two are "Wraps" and "Smoothies," and they're every bit as good. These women have a knack for often unusual, very flavorful food with very strange names. 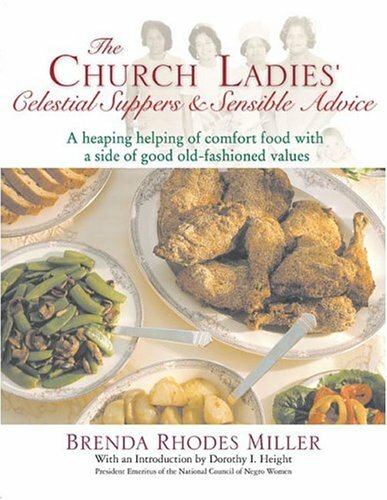 This book includes a number of good hints for any occasion at which you wish to serve finger food. They even give figures for how many hors d'oeuvres and drinks to serve. Then you'll find directions for pairing hors d'eouvres with drinks, and a couple of "themes" for possible parties. Weird recipe names is one way in which this cookbook stands out. How could you forget a cookbook with recipes like "oink!" and "steaked and thai-ed?" Mind you, when someone asks me what those marvelous little delicacies are over there on the table, you can bet I'll be saying "oh, that's skewered thai-style steak with lime, jalapeno, and mint." Unless, of course, the questioner is either a very good friend or someone I'd like to irritate. "Bold flavors" has become a cliche. When I think of bold in relation to cooking I think of bland A-1 steak sauce ads. But when the Corpening sisters get together, bold is the most appropriate adjective I can think of. Bayou Biscuits give you the distinctive flavor of Andouille sausage. Delhi Blues is a combination of blue cheese and walnut shortbread with chutney! The Smoked Salmon Bonbons are exquisite. We like to use the tahini-ginger dipping sauce that's meant to go with shrimp and serve it with shrimp chips instead. You'll find more recipes like this throughout the book--bold, exquisite symphonies of flavor that bowl you over. However, because the flavors are so strong, a few of them are almost bound to be ones you find unpleasant. No matter how they dress it up, I'll never do more than shrug over shrimp, and no one will ever convince me to eat a dish with onion as a main ingredient. For you it might be the radishes, or maybe the aforementioned blue cheese. This book is certainly worth a buy, though, regardless of whether you like cocktail parties. It may only contain 50 recipes, but they're recipes that pack a lot of punch! I have used the recipes from this book about a dozen times and am asked for the recipe for at least one dish every time. I currenlty use about 15 of the recipes and have found no need to modify any. As with any cookbook many of the recipes did not meet my need, but this book is my primary resource when planning a appetizers for a party. I've owned this book for over a year and have used it when planning for a few parties. Some of the recipes are excellent, but others just don't taste good. I am an avid cook, and have had to improvise a number of times when the finished recipe was completed because the appetizer was close to tasteless (example: the dipping sauce for the Rockin Rubens as well as the Rockin Ruben breadsticks themselves; Dab a Crab was dab-a-boring). This book doesn't only have good recipes, but also give the reader very useful tricks. The results are totally delicious. You've Gotta Have This Book If You LOVE Cheesecakes! Creating mouth-watering cheesecakes are a breeze when you follow the simple recipes in this book! Instructions are concise and precise, and when followed produce results bound to wow any crowd. I highly recommend this book!!! 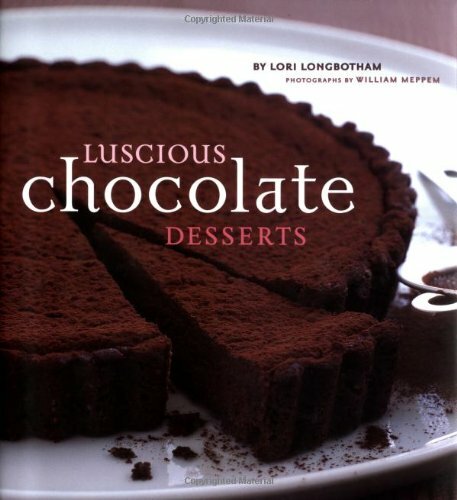 I have tried many of the recipes baked by a co-worker and liked every bake good she made from this book ,that i had to get the book for myself.The recipes are easy to follow and many of the items in the recipes are items we are able to purchase at any grocery store ( thats the best part! ).If you like simple homemade you have to purchase this book! I've just begun to delve into this cookbook and I already love it. At my fourth of July BBQ, the Lemon Cheesecake was a huge hit!! Made the Poppyseed Almond Cake for Mom on Mother's Day and that went over great too - very tasty for such a simple recipe! At work, they flipped over the Warm Pear Cake with Walnut Caramel Topping! Can't wait to make more! Birthday Cakes is a visually stunning book. Every photograph is gorgeous, showcasing various cakes in lovely detail. Even so, it is something of a disappointment. 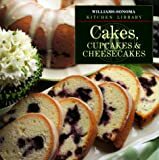 The introductory pages include discussions of the various types of equipment called for throughout the book, and the appendix lists sources for all kinds of baking supplies. There is even a list of tips and hints for baking the best possible cake. Ideas for enhancing birthday cakes and celebrations are sprinkled throughout, short discussions of "the birthday song" and birthday candles. None of the instructions are very thorough or detailed, however, leaving one to wonder if the book's intended use is to be merely decorative rather than a practical baking resource. Fans of culinary literature will be disappointed that so little of "Memories from Celebrated Bakers" is included. Many of the cakes, in fact, have no such memories associated with them in the text. Some of the recipes have no context at all, other than brief explanations of where the recipe was originally published. Finally, several of the recipes are ridiculously complicated for the home baker. "The Princess Cake," for example, requires following four lengthy pages of instructions! 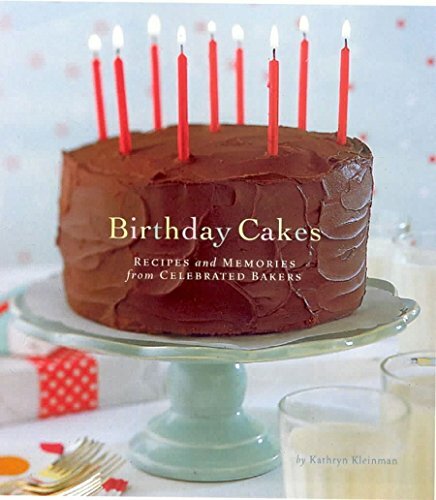 The cover photo suggests a book of classic birthday cakes suitable for home baking - witness the chocolate cake so fondly remembered from childhood - but, sadly, there are only a handful of these simple types of recipes. In the end, "Birthday Cakes" doesn't seem to know what it wants to be. Is it merely a collection of pretty pictures with explanatory text? An instructional text? Is it for the advanced baker or the home cook? Is is culinary literature? It's a bit of each of these, but not enough of any. This book is lovely. Is a wonderful collection of cake recipes, contains a good variety of well explained recipes with color pictures and well detailed intructions on how to create them at home. It also features a list of where to get cakecraft suppliers. Simply a beautiful book to look at!!! Lovely book about birthday traditions (cake). First let me say the photographs are beautiful and the pages are thick! That is definitely a nice start for any book. The recipes range from a birthday cake for Elvis (chocolate with peanut butter and bananas) to chiffon cake to German chocolate cake to beautifully domed cakes covered in fondant (this recipe is from 'The Baker's Wife' by Ortiz.). There is nothing spectacular about any of the recipes...they are down-home good recipes that are accompanied by warm-hearted birthday tales. Canned and dried soup??? Yep! And you'll love it!!! This is a HUGE book! Don't be daunted by that as it covers everything from appetizers to main course and tosses in a host of rubs and marinades. 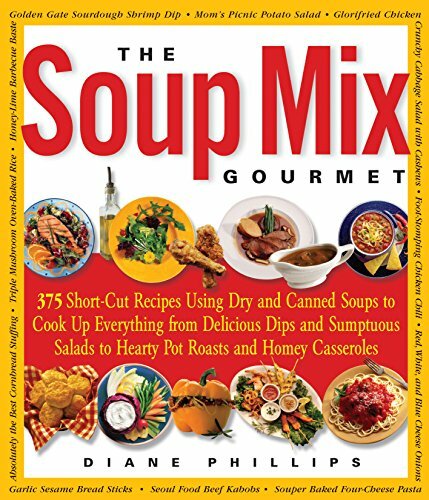 Diane Phillips doesn't just recount all of the previously published recipes of the various soup vendors, she undertakes to combine the flavors of canned and dry soup mixes to produce a wonderful result. She provides many tips and alternatives to accomodate individual tastes. This isn't 'dump chili'. It is a realistic use of condensed and dried soup to enhance and ease the cooking process. I was reluctant at first to purchase this book but it was recommended by a friend. I remembered growing up to recipes that were 'drowned' in salty goop. This book departs from that by combining condensed and dry soups with herbs and spices. I must admit that I was most pleasantly surprised AND I use this book repeatedly. I am not a snob. I often use canned soup as well as dried soup mixes in my cooking. I am a busy mom and don't have time to concoct elaborate sauces and I have children who are extremely suspicious of "flecks" and "chunks". On the other hand, I like to eat food that TASTES good. I welcomed the advent of this cookbook and have already stuffed it with post-it notes on the recipes I am going to try. There is an enormous variety here and if you like to cook with soup you are certain to find something that you will like! The biggest drawback I found was the emphasis on shallots over onions (this can be pricey for some), but this is easily rectified..just use onions. Some recipes calling for just the seasoning package and not the noodles from ramen noodle soup had me looking askance as well, but you could easily subsitute a bouillon cube. I don't have room to store opened packages of ramen noodles, although I occasionally use the noodles without the seasoning and store those to throw in soup! This cookbook is one of the best I have come across. I love cookbooks and I'm always trying different recipes. But this cookbook has really got me trying one recipe after the other. If you like to cook and like tasty and delicous food and most of the recipes are pretty easy to prepare you should purchase The Soup Mix Gourmet. After finding this book in the library and looking through it... I knew I HAD to buy it. There were just too many recipes I wanted to try. I usally only buy canned soups, and while I have used them in creative ways I never dreamed that they, along with dry mixes could add so much to so many foods! I plan on making one of the shrimp dip recipes for our department pitch in, and a co-worker is going to make the Tomato Soup Spice Cake. This book is for the novice as well as the experienced cook. Keep it handy.. you will use it often! Undoubtedly the BEST cookie book ever. Each and every one as tasty as the one before. Maida is a fantastic cookbook author and her directions are clear and concise, and I am sure that not even a beginner would have a problem following along. I make the 'Big Sur' chocolate chip cookies at my café and cannot make them fast enough! A clear winner. Not a loser in the bunch! I'm slowly working my way through the entire book baking up all the delicious goodies. 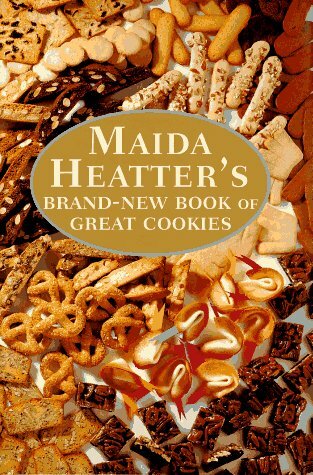 Maida Heatter's recipes are thorough, concise and most importantly they always work. I can't wait for her to put out her next book! The recipes in this book produce delicious cookies. Maida Heatter's commentary on preparation is helpful and intersting. This book is a must for every baker's kitchen. As always, Maida Heatter has written another winner!! Maida Heatter is my idol! I love to bake, and I have to say that my favorite recipes come from her cookbooks. This cookie book is no exception. If you don't already own it, buy it today! Then, try her recipe for Palm Beach Brownies with Chocolate-Covered Mints. These are to die for. Her biscotti recipes are also wonderful, and as always, her instructions are precise and easy to follow. One of the best parts of all of her cookbooks is the introduction to each recipe. She includes a short description, and very often an anecdote about the origin of the recipe, or of a time she served it. It is as much fun to read a Maida Heatter cookbook as it is to cook from it and taste the finished product (which always get rave reviews when served!). Delicious cookies, from simple to elegant! 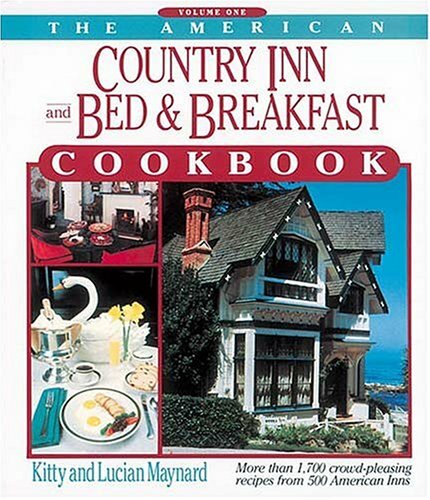 The best crowd-pleasing recipes from widely acclaimed country inns and bedand breakfasts in the United States are collected in this unique cookbook andtravel guide. Includes over 500 inns and more than 1,700 recipes from every state. I use this cookbook more than any other in my kitchen. although I haven't loved every single thing I've tried, it is stained and sticky with the remnants of some terrific recipes(some of my favorite pages are in worse shape than others!). Everytime I look through it for a new idea I find one. I love it! You will too. This cookbook is great !!!! i borrowed it from a friend and never gave it back (bad!!!) but it really is a great source for entertaining. Fanstastic and easy recipes. A good way to impress your friends with your cooking. Also what i like is they usually have serveral recipes for similar dishes so lets say you want to make scalloped potatoes - you can look at them all and then kind of use the info to make your own variation with the pieces of the recipes you think sound good. Also it is good if you are doing theme parties. I love asian cooking we were having a party where i needed to bring an asian salad - they have like 5 different types. and they arent what you would expect. Note this is just not breakfast foods - all types of cooking are in this book and from all types of us regions. I love the small-sized recipes that many of the B&B's and Inns use... hubby and I are 'empty nesters' most of the year with our sons away at college so there's no need to make big meals or we'd be eating leftovers forever. Have both books - and they are both much used in our kitchen. I have been able to find recipes for dishes others would not share based on ingredients. The index of foods is probably the greatest thing about this book and directly contributes to the usability. Absolutely something for everyone in this book - even holiday recipes. Between the two books, I have noticed a couple of recipes duplicated, but not enough to lessen the value of either. Definitely one to have on the shelf if you enjoy having a broad sampling of American cooking close at hand! I have BOTH American Country Inn books. I purchased this book because of the simple and delicious looking photos, and for the authentic British/Aussie recipes that I have grown up with. 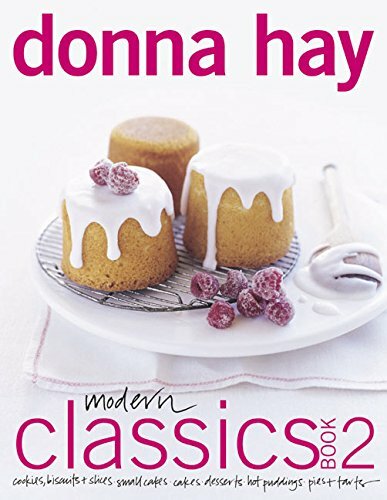 I researched Donna Hay and have found her to be as interesting and creative as our own Ms. Stewart, but find Ms. Hay's approach more subtle and simple. Thank you Donna Hay! I wish your magazine was available in the U.S. One day eh? 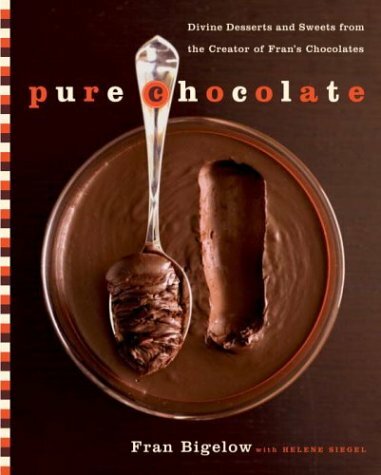 This makes a great coffee table book if you're not into baking and cooking. Or give as a gift to your chef wanna be friends.